The Chinese national education system, as it applies in Jiangsu, has its own peculiar characteristics. It commences with three-year pre-school education. Students generally start pre-schooling at the age of three. Primary schools then offer a mandatory six-year program. That is followed by compulsory three years in junior high schools, which corresponds to secondary or middle schools in many other countries. The transition from primary to junior high is automatic in the sense that students are enrolled in the schools closest to their residence address. In cases where students wish to attend an elite school, their acceptance would be subject to more rigorous entry requirements. 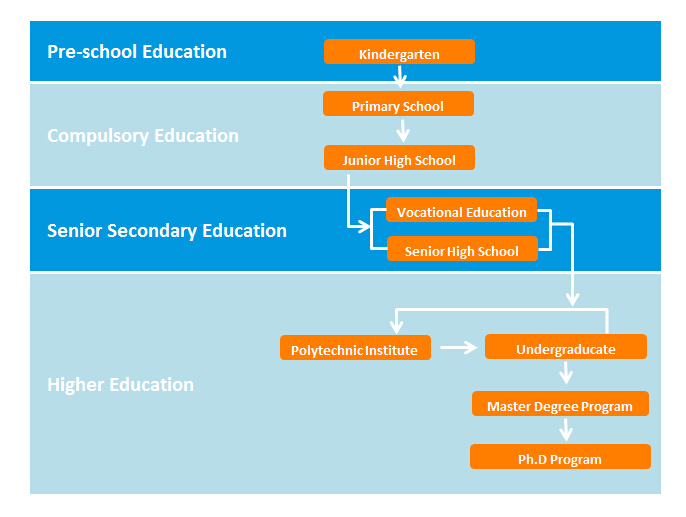 Students graduating junior high schools may either choose to end their formal education or follow on to senior high schools or take a secondary vocational course, both of which may lead into tertiary levels. 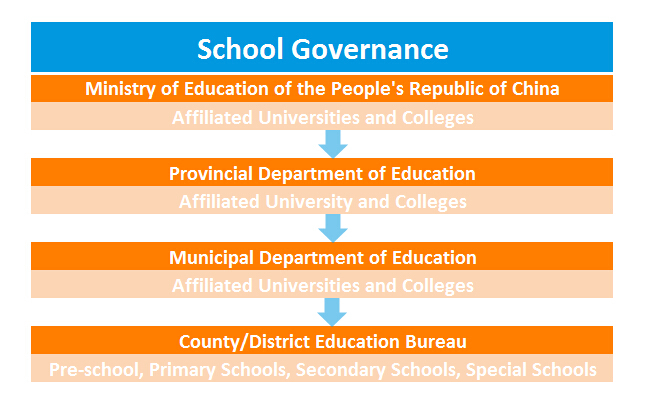 The transition from junior to senior high is decided by an examination provided by the city-level local education authority. The important stage from high school to tertiary levels in Jiangsu is determined by a provincial examination under the guidance of the national administration of education, which is one of the most important and competitive general examinations in China. Vocational courses consist of three-year education, while undergraduate university degree studies take four years. Post-graduate university study is generally determined by an exam and according to the requirements of each discipline selected.